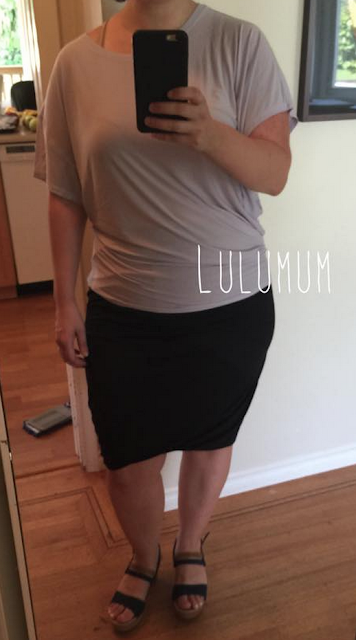 Despite the fact that this is a Lululemon centric blog, I thought I’d share with you some of my recent none lululemon finds since it is a rather slow and dull product feed day. In particular I want to share with you my Kit and Ace finds since they are somewhat related to lululemon (read here about Kit And Ace born from Lululemon founder) and the store is very close and accessible to me and I just love the products I’ve tried. Now that I’ve had my first purchase for a while I can give you a fair review on how it holds up. I don’t normally do non lulu product reviews and I shy away from doing c/o product review posts from the different shopping site/blog clubs where they send you free fitness clothing to review because if I didn’t spend my hard earned money on it, I can’t encourage you to do that. These products I fully support you splurging on if you are in the market for something a little upscale from lulu and slightly less sporty but still in that sporty/fashion niche. If you are in town for Seawheeze in August, definitely check out the Kit And Ace store on Robson just down from Seawheeze HQ. Anyways, onto my Kit And Ace Sullivan Dress that just arrived. 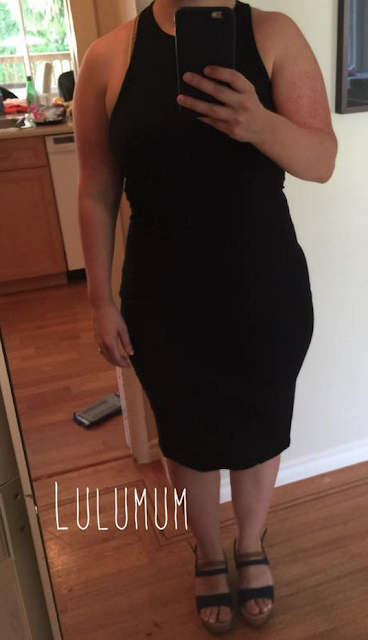 I was curious about this dress after seeing the Lululemon Refresh Maxi Dress and wondered how they compared. The Sullivan definitely feels like a soft cashmere knit vs a jersey cotton and it has tons of gorgeous tailored seaming and darts up the front which makes it very, very flattering and substantial looking. This dress is just a lot more ‘fancy dinner’ than it is ‘family BBQ’. I do love the Refresh Maxi Dress as well but it has a casual vibe while this dress is a lot more elegant. I also really love the length of this dress. This is my TTS 10 and it is pretty much the same fit as the Refresh Maxi Dress on me. There is a longer version of this dress if you prefer a 7/8 length but this tea length is perfect for me. I definitely recommend this dress. I have a few Noosa Tees from Kit And Ace that I got over winter and they are my favourite. The fit on Kit And Ace Tees is a little tricky since my TTS 10 on the more fitted tees is too fitted and clingy but a tee like the Noosa that is a boyfriend fit, or this one which is more flowy is definitely dooable for us curvy girls. I have returned a few of the more fitted tees even though they were beautiful because I just wasn’t comfortable wearing them with my jeans but the Noosa is a very feminine loose fit that just flows away from your mid section and has a really pretty scoop neck and slightly longer short sleeve. My oldest tee is the Heathered Grey Noosa and it has been washed a TON in a regular load, and dried in the drier each time. I wear it at least twice a week and it has not shrunk, deformed or pilled and it is still in my ‘dressy tee’ rotation. I’m torn on this Wave Tee though. I like the color a lot and it is very flowy and soft but something about the different sized sleeves bug me. I love the twist at the hip but that off kilter sleeve is something I need to constantly fuss with so it sits the way I like. I think I’m going to exchange it for the similar Bellwood Tee or just return it. My other item is the Gap Twist Hem skirt I ordered a week ago when the Lululemon Inner Essence Skirt didn’t work out for me. This one was marked down to $30 so I thought I’d give it a shot and actually, I like it a lot. I took a large in this which fits well and it is loose and easy to wear and I don’t feel like I need to adjust the bubble hem. Incidentally, Kit And Ace has their own version called the Amelie Skirt. I don’t want to order the Amelie Skirt but I would like to try it on in store just to see how the fit is compared with the Lululemon one. The Kit and Ace midi dress looks awesome for you. I can't wear that length but have been debating on the longer version. The $168 price tag has me hesitating although I do like their fabrics and would probably get a lot of wear of it. One of my favourite layering pieces is the Talia tank. It has a higher neckline like the dress and a nice racer back. I wish K&A would add a review section on their website. Thanks for sharing! So helpful. I will check out the vlogger lol. I think I might get the dress but will have to go to the store since the size I want is out of stock. Also – thanks for your blog and hard work. It is a lot of work to pull all the info together as well as share your own personal pics. Thanks! I agree, the price is a big barrier and I ogled that dress for a long time before I bit the bullet and ordered it. I've been on a summer dress kick lately. Ultimately, because I can wear this one (because of the tailored seaming and knit fabric) to more formal events and in a more versatile way I think it's a good buy. Awe thank you!! I appreciate it. Christina that dress looks great on you, love it! the black one online only 2 and 4 left. Thanks for doing Kit and Ace review, more please! Thank you for all your amazing work to review lululemon products and now to bring us a review of Kit & Ace. I just ordered this dress to check it out myself. It looks great on you! !